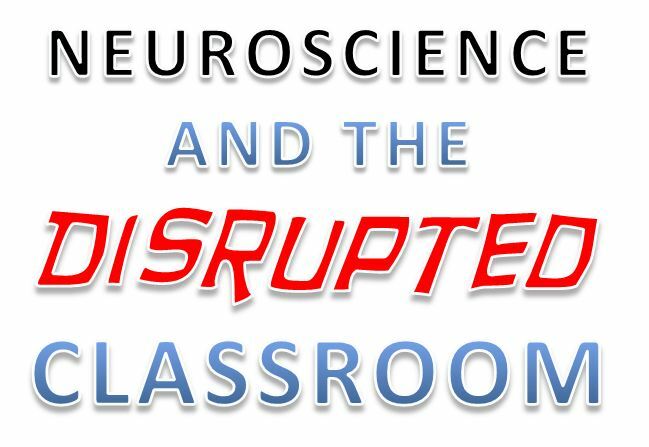 About thirteen years ago, Judy Willis, now a widely-renowned pioneer of neuroscience-informed education, but then a practicing neurologist, suddenly started receiving an alarmingly high number of referrals from teachers. The teachers (including those Willis knew well and respected, this was in a small community) were claiming that the students they were sending her had conditions which seemed to them to be unmistakably serious attention disorders like ADHD, Oppositional Defiant Disorder (which made them exceptionally intolerant and disruptive in the classroom) Obsessive Compulsive Disorders and even what looked like ‘petit mal seizures’, which are a mild symptom of potentially extremely serious epileptic disorders. When she examined the students as patients, Willis found that there was no higher incidence of the conditions that were believed to be afflicting the students than normal, an outcome which essentially left the upsurge in symptoms observed by the teachers mysteriously unaccounted for byown her careful clinical diagnosis. From this, Willis concluded that these symptoms, which were being regularly reported to her by teachers observing them in the classroom, could potentially be being produced by something specific to that environment. This strange inconsistency between highly credible teacher experience of worrying student behaviour (where, for instance, significant incidence of episodes of unaccountably persistent ‘staring and blinking’ during lessons gave rise to perfectly understandable concerns about petit-mal seizures, of which this is a well-documented symptom) and her own clinical examination of the students in her surgery where the symptoms were not evident, sent Willis into the classroom to witness the symptoms for herself. In the course of doing this, and in discussion with the teachers involved, they suggested that before she came to any conclusion, she would need to take a look at what was happening in the education system. When she did this, she found that the relevant issue that many in education were complaining about at that time was a phenomenon which was referred to as ‘the overstuffed curriculum’. When she visited the classrooms (the same ones that, incidentally, her own daughters had been taught in) she found that this educational policy trend had resulted in a move away from participatory and group activity (which, as she recalled from earlier years specifically involved students in ‘fun-work’, sitting together at tables, with posters on the wall, educational sprouting beans growing in the windowsills and newly hatched chicks growing in incubators). Instead, what she saw was a far greater preponderance of time spent in ‘direct instruction’ with students facing the teacher in straight rows of desks. She went into different classrooms, looking into student behaviour as a neurologist, in order to see whether there were any students who might be candidates for a neurology exam. What she found, in terms of of demeanour, was boredom and frustration. The students who quickly understood what was being taught were exhibiting behaviours clearly indicating that they were extremely bored and those who failed to understand were exhibiting behaviours clearly indicating that they were frustrated. If you watch the video, you will hear exactly how and why the behaviours had been misdiagnosed as clinical pathologies. It struck me that it would be quite easy to listen to Judy and imagine that there might be a possibility of an over-reaction or even an ‘over-pathologisation‘ by the teachers of the student behaviours. The point is that this entire episode (of Judy’s investigation, findings and resulting successive career changes) arose as a result of a spike in referrals which was coming from experienced teachers. One could infer that the teachers had made the transition from a (much?) more ‘fun-work’ based, participatory and group-learning oriented teaching approach to a much more intensively ‘talk and chalk’ direct instruction approach in order to accommodate the sheer volume of additional knowledge that was required to be imparted in a larger and more extensively ‘packed curriculum’. The teachers had made this transition in teaching methods (or perhaps just a transition, albeit potentially extreme, in the respective ‘blend’ of methods: one might presume that there was at least some direct instruction teaching before and that there was at least some ‘fun-work based teaching’ remaining after the transition to a more knowledge intensive curriculum) which is why they drew the transition to Judy’s attention as a potential cause of the symptoms. So, judging from the anecdotes presented by Judy Willis, the symptoms which she (at a later stage) interpreted as being behaviours resulting from boredom and frustration had suddenly escalated (again, it is quite reasonable to assume that there was at least some evidence of frustration and boredom-related behaviours before, but that it had never been considered to be worthy of referral, perhaps due to a lack of prevalence or severity, but it raises the seemingly odd question: what is a typical teacher response to their recognition of student boredom or frustration, especially when they are both being exhibited by different students at the same time?). This upsurge in behaviours (Judy doesn’t say whether any of the teachers themselves had characterised the behaviors as resulting from boredom or frustration, although I can’t imagine a teacher sending a student for a neurological exam just because they thought the student was bored or frustrated in class) was what caused the teachers to massively increase the number of referrals to a neurologist. A key feature which is perhaps not (in my view at least) sufficiently drawn attention to is ‘comparative grade level/learning stage’. It sounds like (and I could be wrong) the ‘overstuffed curriculum’ in this case is actually an example of ‘packing in more (or too much?) knowledge earlier’ and replacing play-based learning with intensive study for early learners (Judy does in fact mention ‘grade one’ when she talks about going back to the classroom). So it’s possible that the ‘increased detection of the symptoms’ arose as a result of teachers being inherently more sensitive and responsive to the behaviours of earlier-stage learners than teachers would be at later stages (although just saying that make me feel unjustifiably presumptuous) as well as the fact that at later stages there might already have been a much lower prevalence of ‘non-directed learning’ and so perhaps there was not necessarily any significantly noticeable ‘behavioural transition’ (e.g., increases in boredom and frustration-based behaviours) which could be attributed to changes in teaching methods. So in order to get a grip on exactly what the relationship was, between ‘curriculum intensity increases’ and their impact in terms of behaviour, you would need more detail on exactly what changes had been made, and at which grades. This is, to be fair, not something which should be seen as being in any sense a criticism of Judy’s unquestionably fascinating and edifying presentation, which crams a lot more detail into quite a brief talk. Judy goes on to show how recent research taken from fMRI brain scans helped her gain unique and novel insights into the relationship between the stresses caused by boredom and frustration and the behaviours that were being exhibited in the classroom. She followed this up by presenting research she had done into the ways that learning can take place where these kinds of problems either do not arise, or can be overcome, or can even be successfully managed in order to increase ‘learning productivity’. In practice, the boredom and frustration that she illustrates can be considered in terms of ‘pacing differentials’, where faster learners’ experiences are disrupted by delays as they wait for the teacher, who is imparting at a speed compatible with median-speed learners, whilst slower learners either struggle or give up because they need things to go a bit slower still, or to be repeated, or to be explained further, or to ask questions, or to be asked questions which get to the heart of their misunderstanding or confusion and allow it to be addressed, but which can only be attended to at the expense of further extending the delays which end up causing further boredom for faster learners. She compares this distressingly unsatisfactory teaching scenario with video games, where intensive learning takes place as an intrinsic component of the game-playing experience, but the pacing is exclusively managed at the speed of the player. In video games, attention management, using such things as the player’s appetite for prediction of outcomes (and many other aspects of motivational psychology) is used extremely sensitively in order to prevent boredom and to keep frustration bubbling just below critical levels, in order for the player to want to play the game for as long as possible. Bringing much of what can be learned from video games and the recent flood of discoveries from fMRI scans (and neuroscience generally) into the classroom has characterised Judy Willis’s recent career, which involved first switching from being a practicing neurologist to being a schoolteacher, to being an author of six books and a frequent speaker at events and broadcasts (she has worked together with celebrity comic actress Goldie Hawn) covering issues related to the newly burgeoning field of educational neuroscience. There is much talk these days of Khan Academy‘s ‘flipping the classroom’ teaching model. This is where, instead of the teacher ‘lecturing’ during lessons and the students ‘doing the exercises to try to use what they have been taught’ as homework, the students watch a video of a lecture on the relevant topic the night before a lesson (in Khan Academy’s case, a lecture typically given by Khan himself with an ‘electronic blackboard’ as a visual aid, all available freely on YouTube) and then they do the relevant exercises in class, together with the teacher. In this way, the teacher can interact with the students when they most need help (for instance when they get stuck trying to do the exercises). The problems with this are (1) when the required ‘lecture’ is not available as a video, and also, (2) although the flipped classroom addresses the ‘pacing problems’ described above at the time that the video is being watched (because the student can pause, rewind and replay the video) it does not address pacing differentials when trying to get the students to do the exercise in class: some will almost inevitably finish the exercises early and get bored whilst others who get stuck are frustrated and may still not get the help they need quickly enough to sustain their attention sufficiently so as to prevent the kind of frustration which seems to have been severe enough to require neurological referrals. Some might imagine that the ‘exercises problem’ would essentially be overcome by having all exercises presented onscreen, perhaps all eventually implemented in some sort of video-game like format. Even if this ‘exercises provided in video game format’ solution eventually turns out to successfully address all the the problems above, the practicalities of providing all the resources required to ensure that every learner has all the necessary hardware and software to do this for the entire curriculum is almost certainly a long way off for all but that most fortunate minority which comprises the most well-resourced teachers and learners. Hence, the question arises: can anything useful that we can learn from neuroscience and video games about solving the problems of boredom and frustration be applied in the classroom, without actually using video games? This next video offers some insight into how this might be possible. Judy is so full of energy in this one that at various points she has repeated difficulties in managing her clip-on microphone (resulting in quite a bit of noise) but your patience will be much rewarded by plenty of additional insights into her work. What if startup ideas didn’t matter to investors?